Utile has been selected by the City of Hartford Department of Development Services to develop a comprehensive redevelopment plan for Hartford North Park, a 123-acre section of Hartford that lies directly north of and adjacent to Downtown. 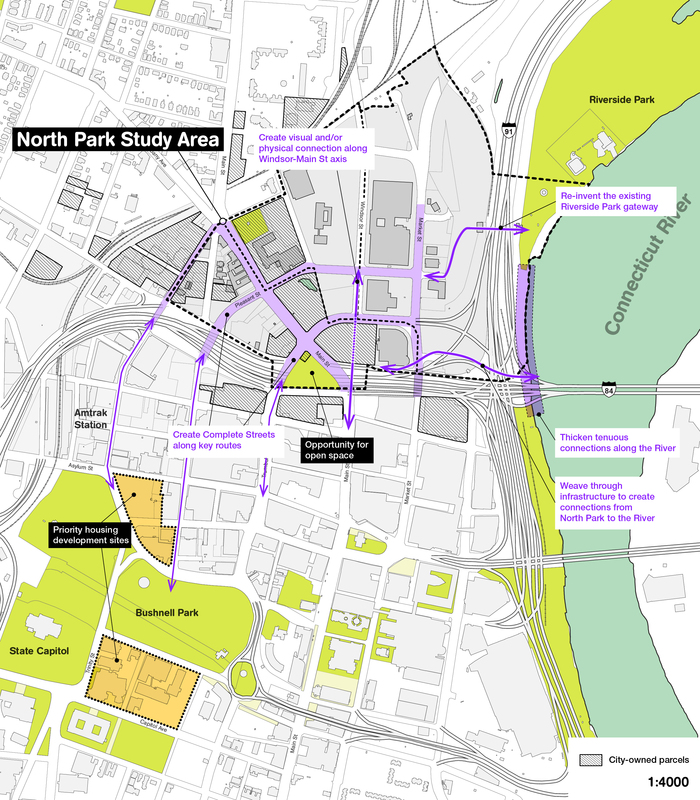 The project area was cut off from the Downtown and the surrounding neighborhoods in the mid-1960s by the creation of the eight-lane I-84 to the south and I-91 to the east, which separates the area from the Connecticut River. The goal for the future of North Park is to better integrate this part of the city into a larger regional and intergovernmental approach to planning and to continue to create sustainable and livable communities. 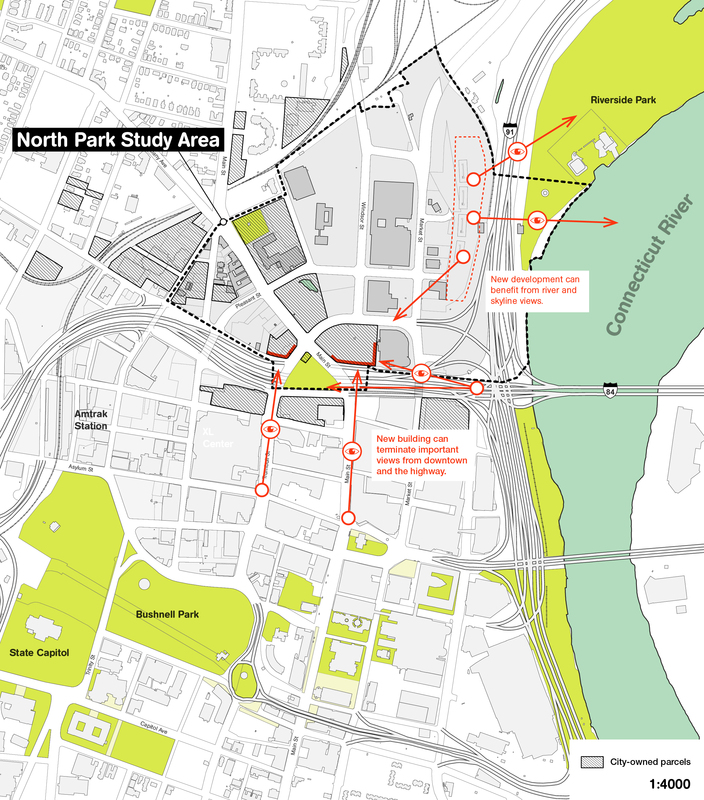 Redevelopment of North Park will improve linkages between downtown Hartford, neighborhoods to the north and west, and the Union Station transit hub. Working closely with the City and key subconsultants Fitzgerald & Halliday, Ninigret Partners, 4ward Planning, Gibbs Planning Group, stoss landscape architects, and Nelson\Nygaard, Utile will lead the development of a forward-thinking and elegantly presented plan that uses smart regulatory tools (form+performance based zoning and design guidelines) and compelling renderings and graphics to create a vision for North Park. The vision will integrate a comprehensive plan for private development with recommended improvements to the public realm, including Complete Streets guidelines for the district street network, and an open space network that connects the “top-of-the-hill” to the river.